The history of Ashford began in 1982, when the founder, annoyed by lots of schedules and data, met with a pocketbook that helps to manage various data always necessary for business. “Quality materials for quality products.” As the most important part of the pocketbooks, the rings are selected through searching in domestic and foreign makers. Looking for perfect quality, the leather is directly imported from the tops of the world. If the pocketbook itself is the hardware, the good refill (software) is indispensable for the system. Based on this philosophy, the company took a long time for development of more useful, elaborated refills. Such passions and efforts are so admired that many users consider the brand as No. 1 in the country. 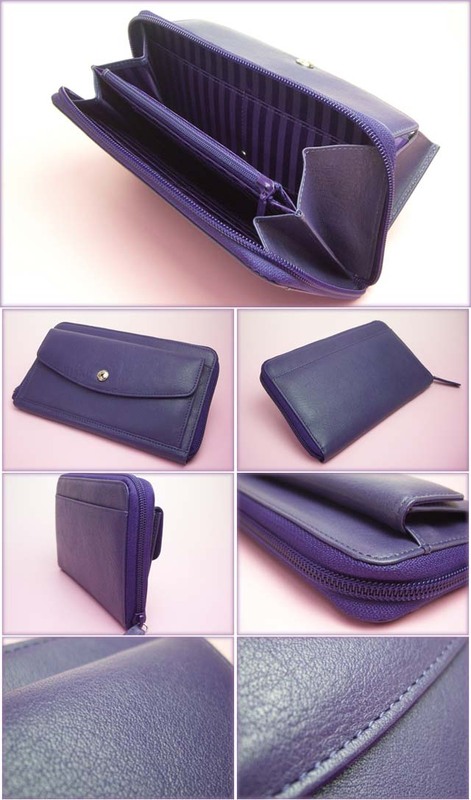 The exterior is made of soft, comfortable kip, finished with simple, cool and high-end quality. The inside is designed to give an accent to the simple exterior with the stripes. 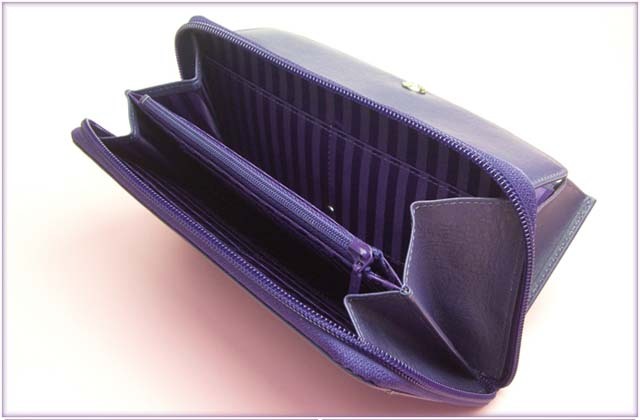 With a zipper around it, the long wallet can be open wide. 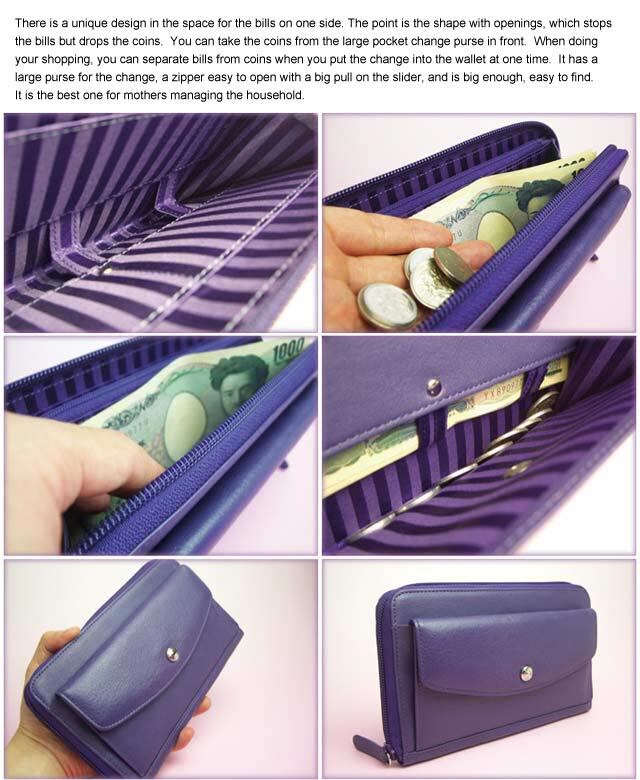 Its large change purse is also useful. It is as big as a porch, easy to find in the bag. Lots of cards can be contained in it. In addition, changes and bills are separated by its special function. This is the best present for mothers managing the household. 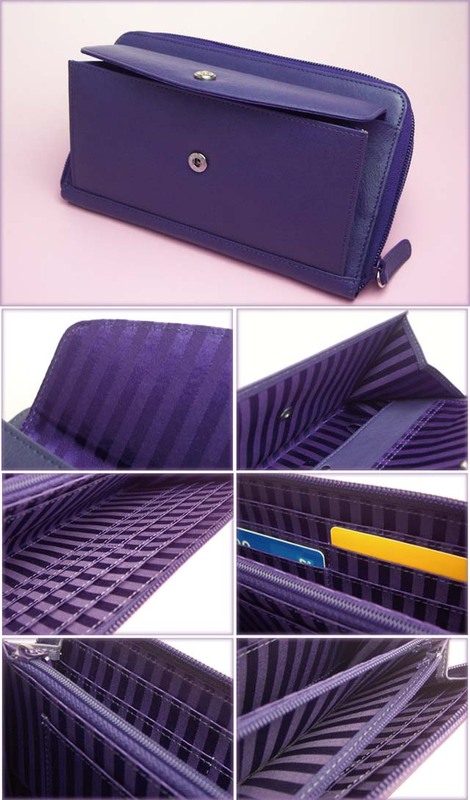 Please look at this cool purse and others in our online store under the stationery category!